Welcome to 11 Winthrop Road in the Heart of Rosslyn Farms. This exquisite mid-century modern home was built by acclaimed Architect Quentin Beck. The home exudes perfection in design and integrity. A mix of walnut,wrought iron,plethora of windows, a wooded setting with perennial gardens make for a grand recipe in creating this contemporary masterpiece. Extensive use of glass and open design concepts. 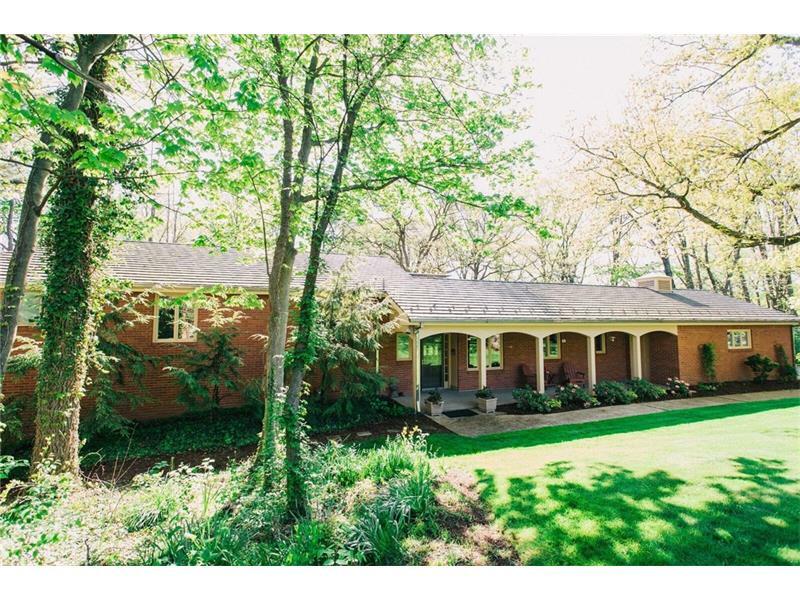 All brick, structurally sound building set on two acres of privacy. Living room with gas log fireplace, walnut wall. Formal dining room.Gourmet eat-in kitchen with granite, stainless appliances inc two ovens, gas stovetop, granite, handsome cabinetry. Laundry first floor. Family room with built-ins and grand bar. Five bedrooms inc master ensuite with two walk-in closets, new bath with soaking tub & shower. Mother-in-law suite. Double car attached garage. Lovely front porch.Stone patios with views of nature. Rosslyn Farms is unique community with social gatherings, pool, tennis courts, parks.